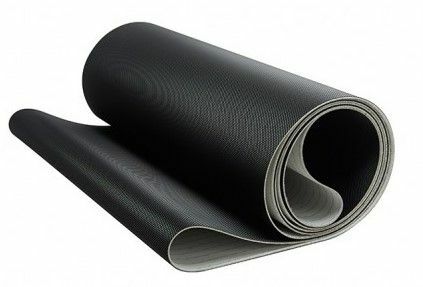 Our PUREGLIDE treadmill running belts are designed to give the best performance, quiet use and reliability. GUARANTEED FOR LIFE AGAINST DEFECTS. Low friction, whisper backing that lasts the life of the belt. This reduces the amount of wear and build up of heat, that results in premature belt and deck failure. Highly conductive to dissipate static electricity. Remember when fitting treadmill running belts that the wear deck either needs replacing or flipping where possible, we also recommend replacing drive belts at the same time for long lasting reliability.